aaaAAAHHH FREAK OUT! 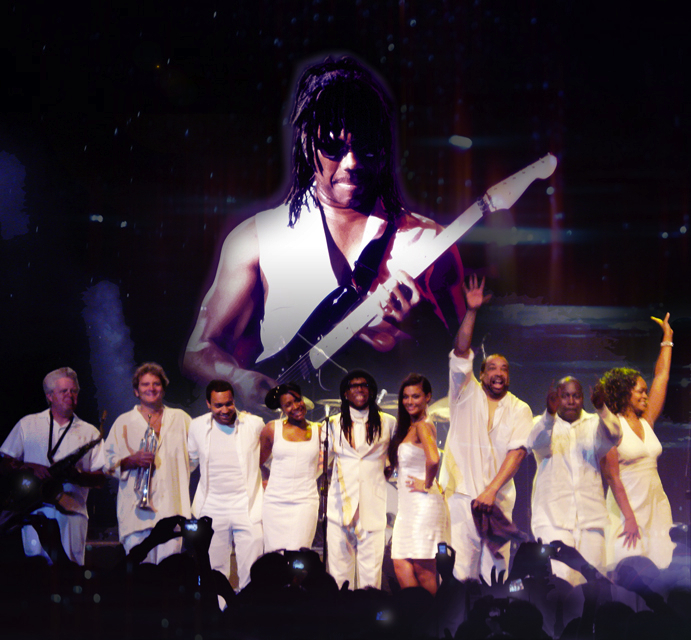 One of the greatest shows in the world of popular funky music. An Epic Groove Marathon of bona fide solid gold hit-hit-hits. These. Are. The. GOOD TIMES! After Nile stepped off stage at Golden Plains Sixxx having left The Sup’ a joyous mesmerised mess, he asked if he could come back and do it again – “every show is special but that was ‘spiritual’”…. “Oh man, it felt magical. We’ve achieved this thing a few times before where the crowd, it feels like you could walk on top of their energy.” Well it turned out he had a bit on, so it took a little longer. If you didn’t see it (and even if you did), my lawd you’re in for a MASSIVE TREAT. Stacks of killer hits for you live in deep-and-wide 4D, from Chic’s ultimate disco bombshells through decades of bona fide blockbusters from the genius mind of Nile.